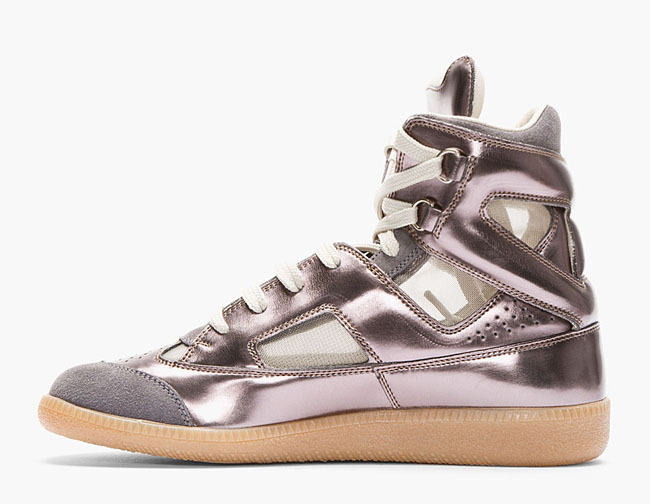 The Maison Martin Margiela High Top is back in an exclusive colorway. While their low-top German Army Trainers may the most commonly seen Margiela sneakers today, it hasn't always been that way. 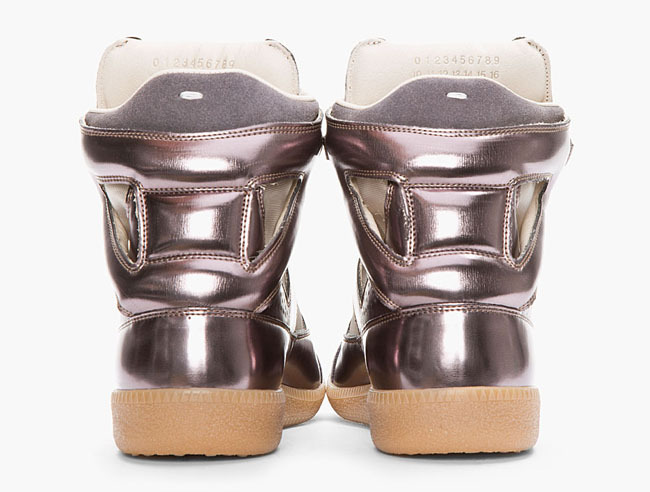 The high-top version is what really put Margiela on the high-end sneaker map. These days, we don't see nearly as many high-top releases as in years past. Could this pewter colorway, exclusive to SSense, be a sign of things to come? The shoe features a leather upper, leather lining, open-mesh panels, and the signature, heavily padded tongue. These high-tops are available now, and retail for $795. 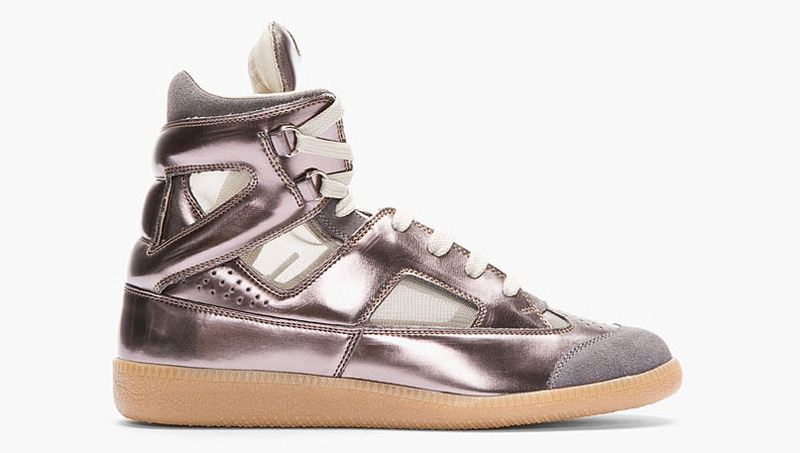 Would you like see more colorways of the Margiela High Top return?